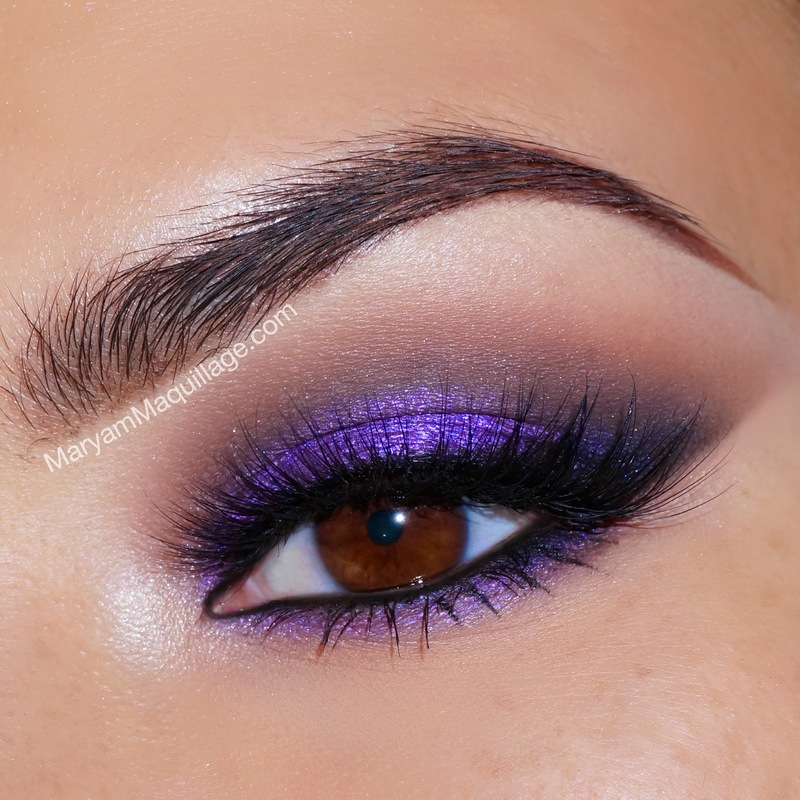 The Eye Look: Smokey, vibrant purple eyeshadow set in smoldering liner and full feathery lashes. Apply Motives Eye Base all over the lid. Using Motives Fluffy crease brush, add Native eyeshadow (Element Palette) as the transition shade between the lid and brow bone. Use the detailing crease brush to add Aubergine shadow (Element) directly to the crease (fold). 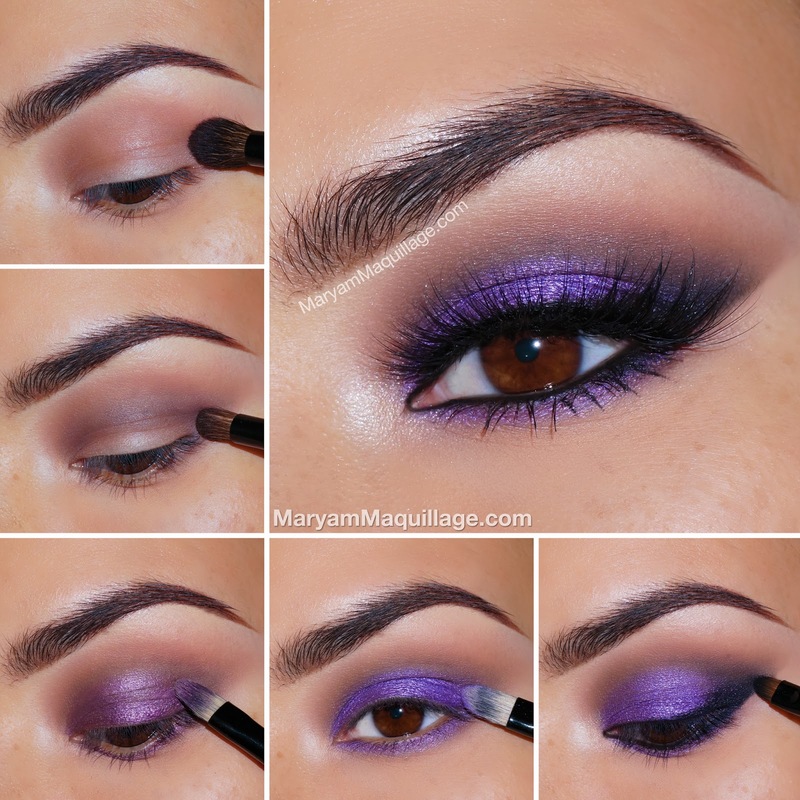 Apply Motives gel liner in Amethyst all over the lid and lower lash line using concealer brush. Clean off the same brush and add Fantasy eyeshadow on top of the gel liner base. Line the waterline and top lash line with Motives waterproof liner in Black Magic. Smudge the top and bottom lash liner with Raven eyeshadow on detailing brush. Extend the outer corner in a cat eye shape. Add Shell eyeshadow to the inner corner. Add mascara and lashes to complete the look! Voila!! Love the purple! Your nails look fabulous as well. Thanx for easy tutorial. Will try to recreate the look. Here are the details regarding Veterans Day and how its Date is observed or we can say decided Veterans Day Sayings When Veterans Day falls on a Saturday then either Saturday or the preceding Friday may be designated as the holiday, whereas if it falls on a Sunday it is typically observed on the following Monday. Diwali is one of the biggest festival of Hindus, celebrated with great enthusiasm and happiness in India. The festival is celebrated for five continuous days, advance diwali whatsapp status where the third days is celebrated as the main Diwali festival or ‘Festival of lights’. For turning our beautiful thoughts into this shows a great success. This is great do you have a catologue if so I would love one to share with friends and family..
For turning our beautiful thoughts into android apps "http://amzn.to/1GfGGao", this shows a great success.